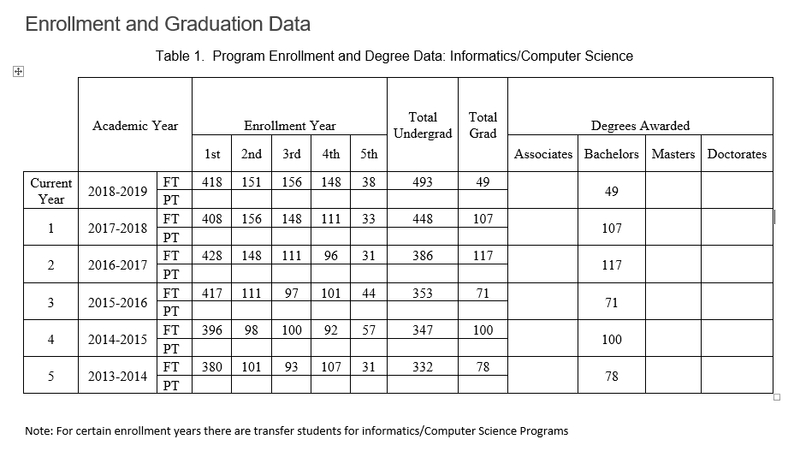 Informatics/Computer Science Program provides education in the area of theoretical foundations of information and computing as well as of practical techniques for their applications in computer systems. Students of anInformatics/Computer Science program will also learn a wide range of computer science topics such as algorithm & data structure, theory of computation, programming languages, database & information retrieval, operating system, artificial intelligence, computer visions, computer network, software engineering, computer security & cryptography, machine learning, distributed system, computer graphics & visualization, and other exciting areas. The program’s curriculum is designed to prepare students to enter the rapidly expanding computer field and competitive job markets. Its curriculum development is based on the curricula and courses recommendation by the Institute of Electrical and Electronic Engineer Computer Society and the Association for Computing Machinery. comprehension of the trade offs involved in design choices. Designing and constructing software, referring to software development job such as web-based application development, mobile application, security issues, interface design, and so on. A career path in this area represents the majority jobs of Informatics/Computer Science graduates. Many large or small software companies, large or small computer services companies, and large organizations of any sector such as in government, industry banking, education, healthcare, etc. offer career in this path. Devising new and better ways to use computers, which refers to improvement and innovation in the application of computer technology. This career path can involve advanced graduate work, followed by a position in a research university or industrial research and development laboratory. It can involve entrepreneurial activity such as establishing new high tech start-up company. Developing effective ways to solve computing problems. This path refers to the development of theory and algorithms to ensure the best possible solutions for computationally intensive problems such as searching information from billions of web documents, processing simultaneous millions of query, providing new approaches to security problems, etc. This career path typically requires graduate work to the doctoral level, followed by a position in a research university or an industrial research and development laboratory. Game Developer, an Informatics/Computer Science graduate is also prepared to develop multimedia game softwares.